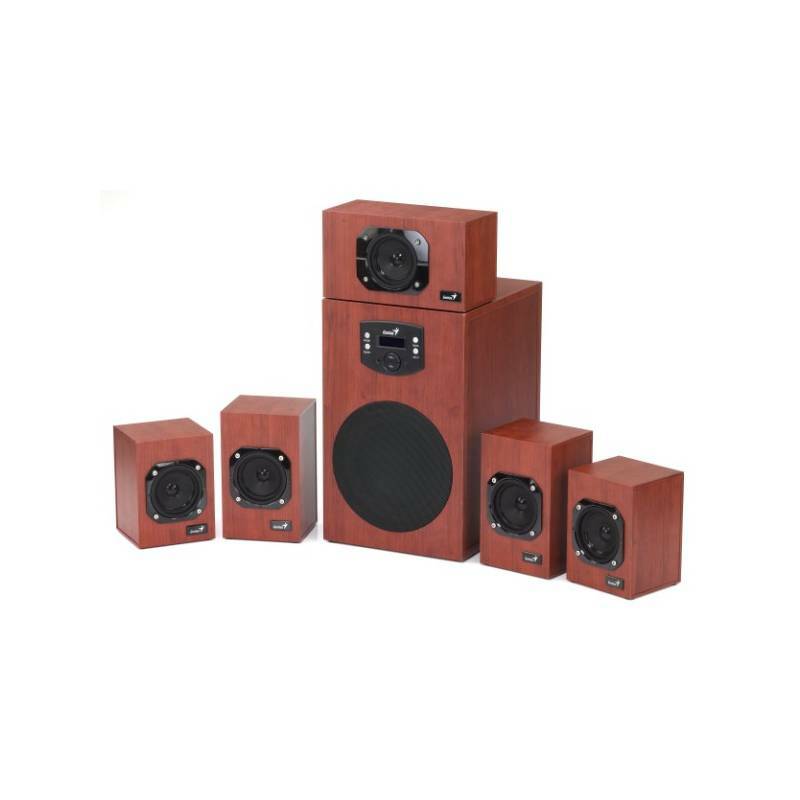 Wooden six-channel speaker system Genius Home Theater SW-HF 5.1 4600 is suitable for playing games, watching movies, listening to music as well. It has a total output of 125 W RMS so that it can use without problems even in larger rooms. With two analog inputs to connect to it simultaneously as a DVD player, game console, PC or MP3 player. 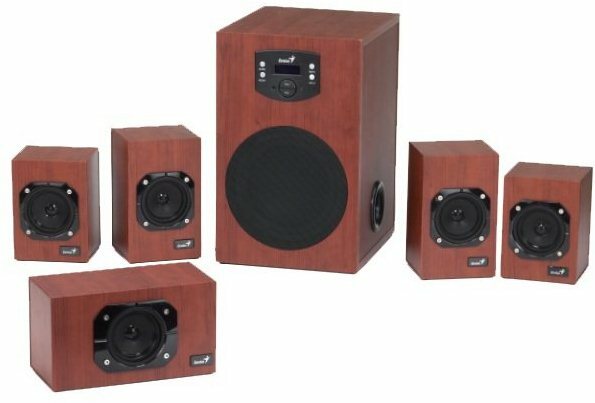 Wooden six-channel speaker system Genius Home Theater SW-HF 5.1 4600 is suitable for playing games, watching movies and listening to music as well. It has a total output of 125 W RMS so it can be used without any problems even in larger rooms. With two analog inputs you can connect to it simultaneously for example a DVD player, game console, PC or MP3 player. An easy control is ensured by the LED display and controls located on the subwoofer. The remote control is also included. Extremely elegant finish is decorated with colours of cherry wood, which perfectly refreshes any modern interior. 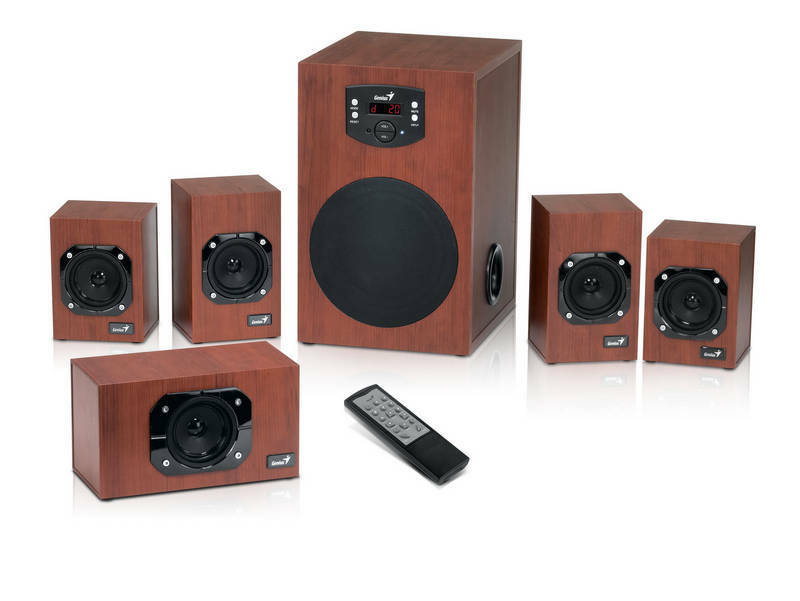 For shipping to other EU countries visit this page Home Theater Genius SW-HF 5.1 4600 . Für Versand nach Deutschland, besuchen Sie bitte GENIUS Home Theater SW-HF 5.1 4600. Chcete doručit zboží do Česka? Prohlédněte si Genius Home Theater SW-HF 5.1 4600. Chcete doručiť tovar na Slovensko? Prezrite si Genius Home Theater SW-HF 5.1 4600. Für Versand nach Österreich, besuchen Sie bitte GENIUS Home Theater SW-HF 5.1 4600. Magyarországra történő kiszállításért tekintse meg ezt a termékoldalt: Genius Home Theater SW-HF 5.1 4600.